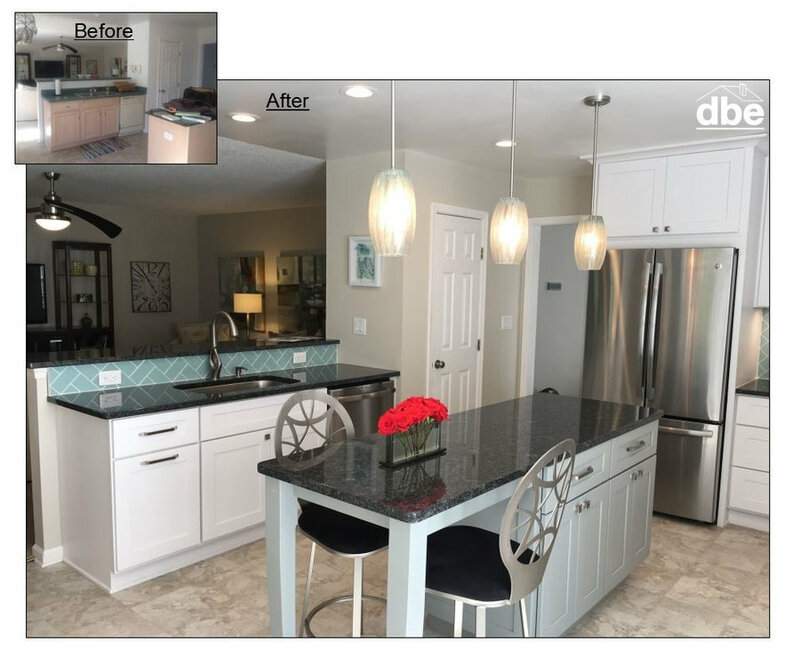 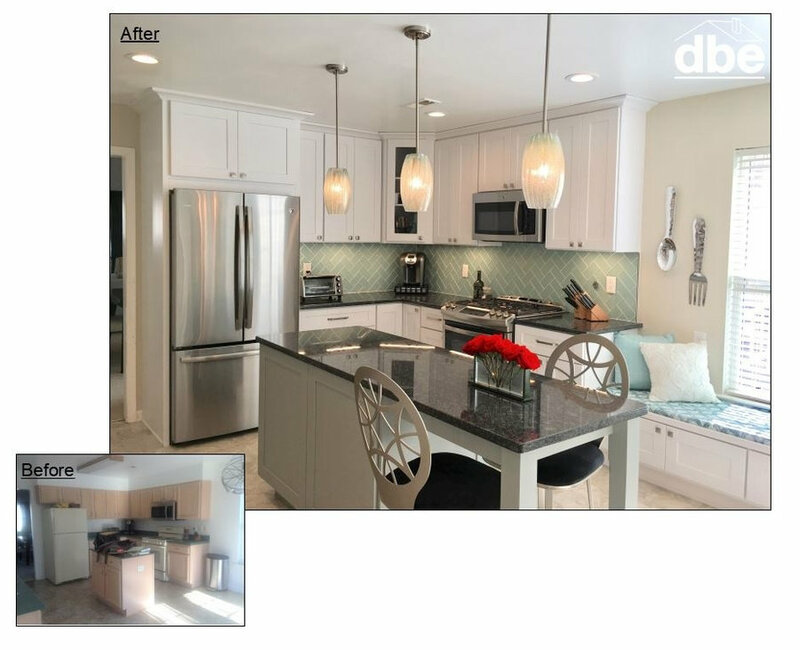 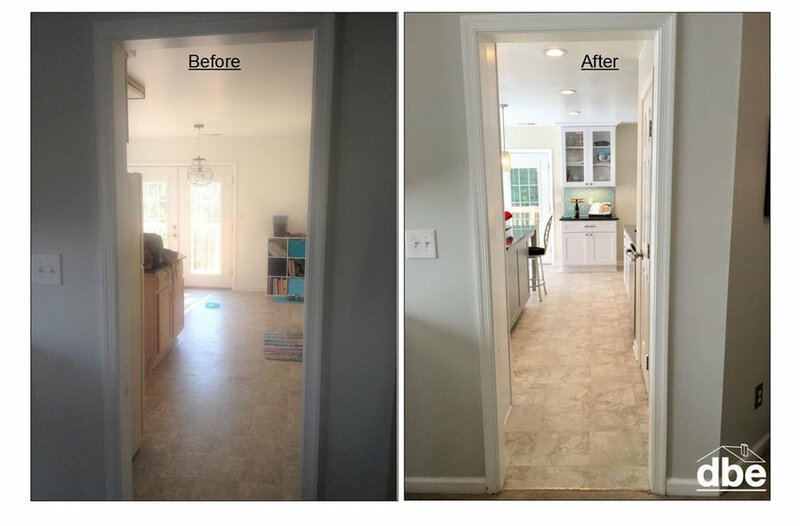 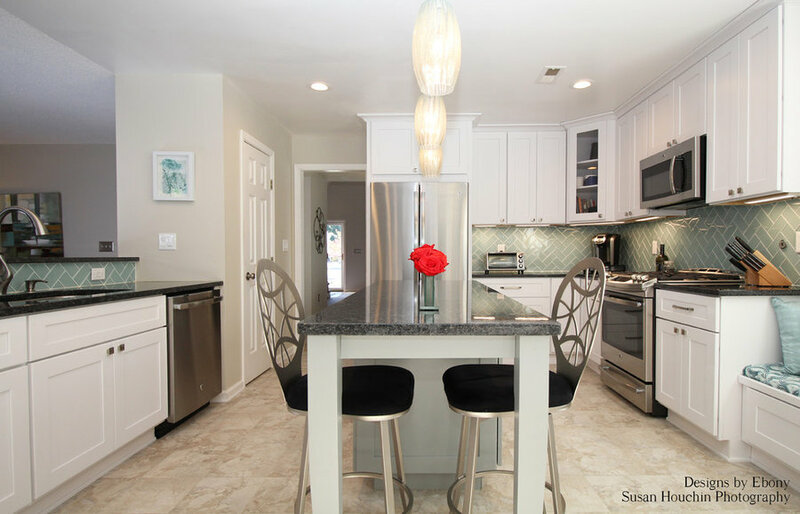 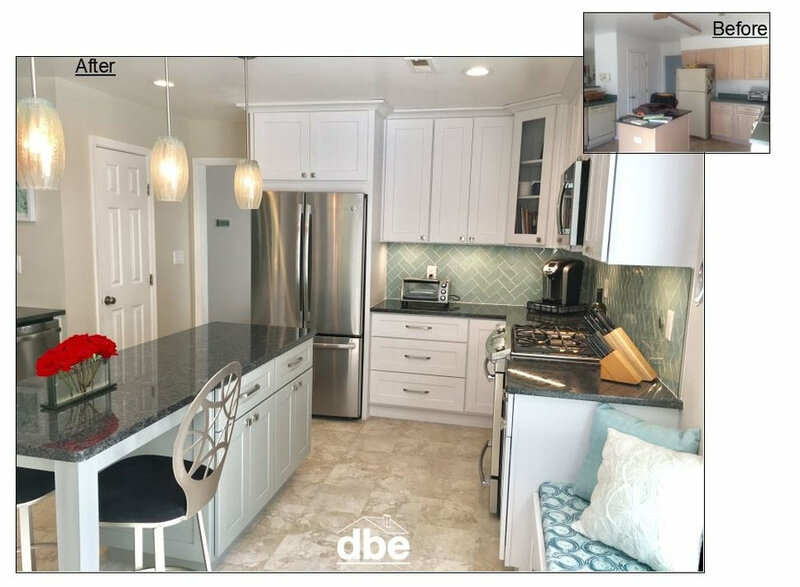 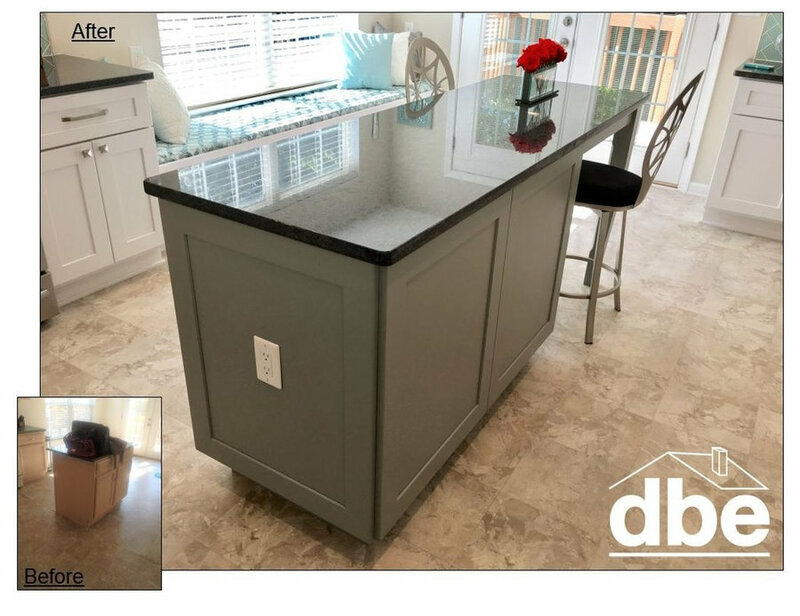 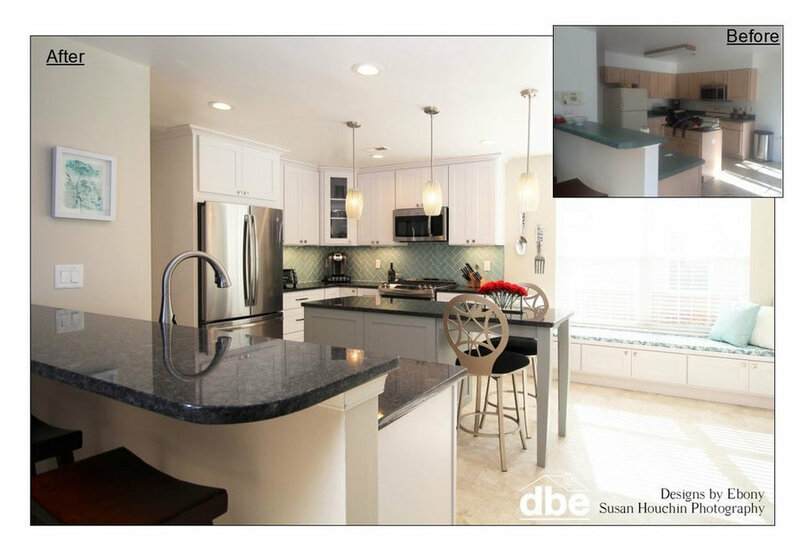 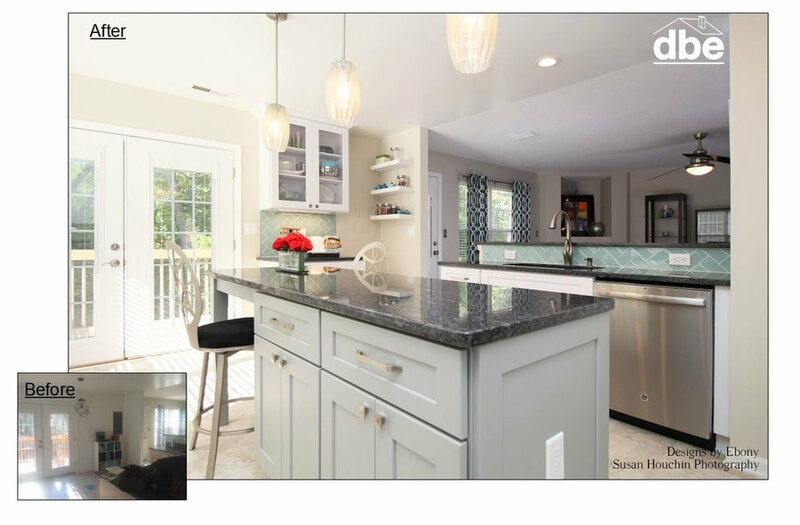 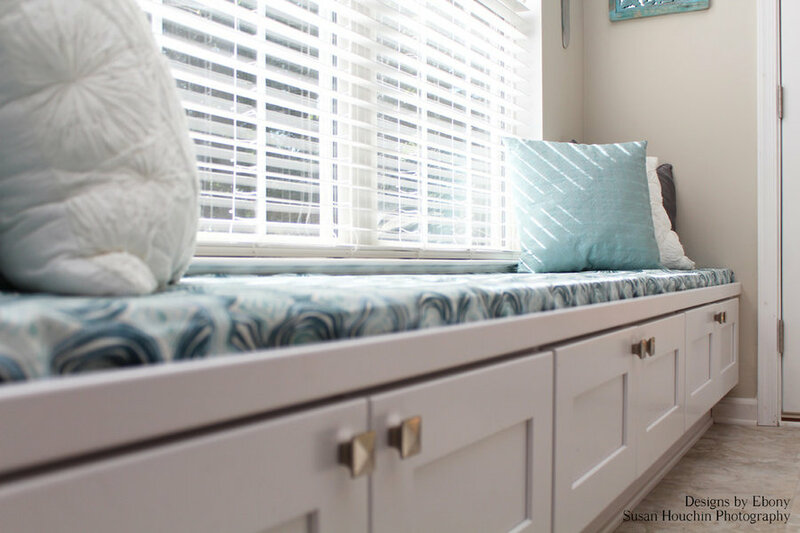 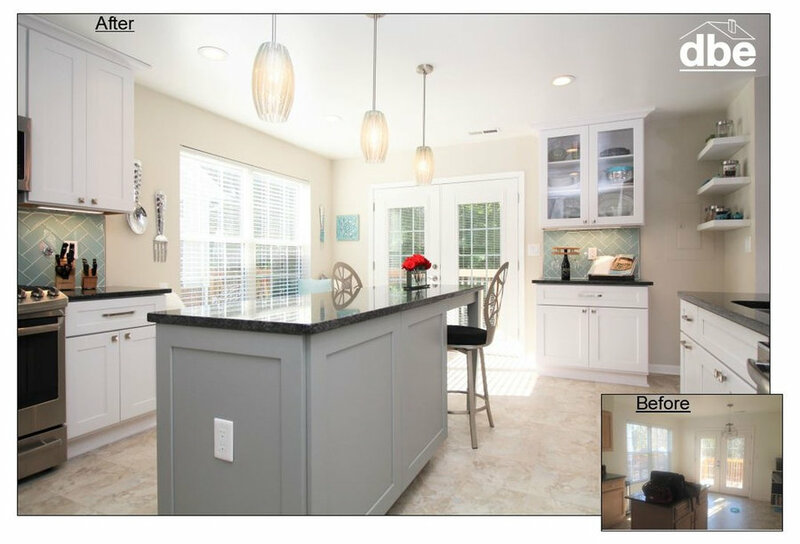 DBE had so much fun working with this client on her Yorktown, VA kitchen remodel. 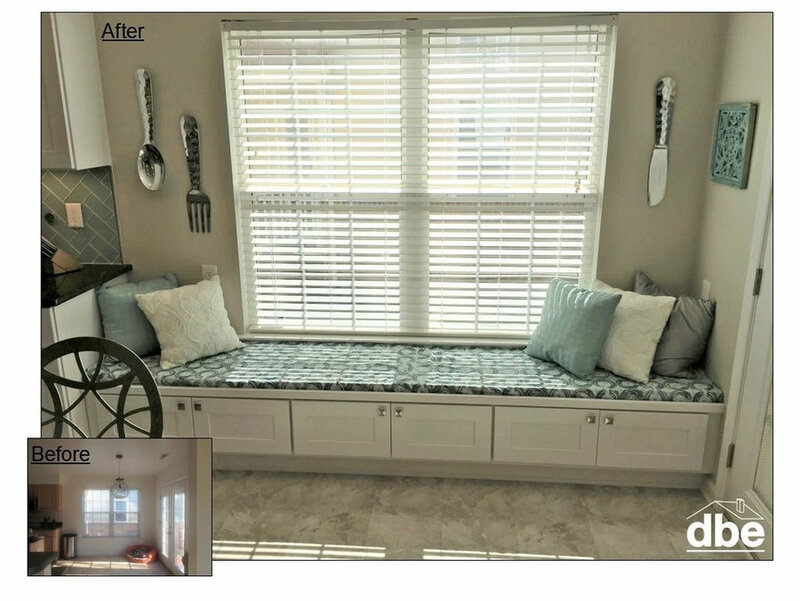 Without having to move any walls, plumbing, or electrical we almost doubled the amount of storage in this kitchen by adding taller 42" wall cabinets (after removing the soffit), a bank of built in seating under the window (storage below), a wine/display area with a glass wall cabinet, and a large island with seating. 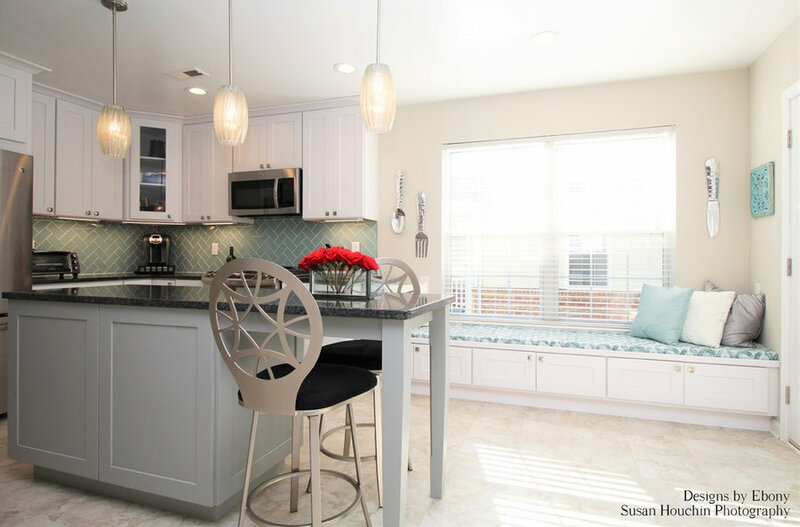 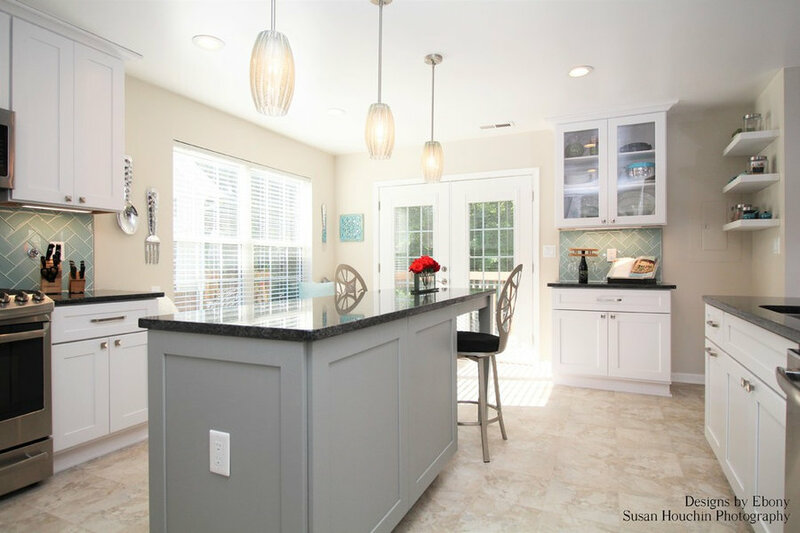 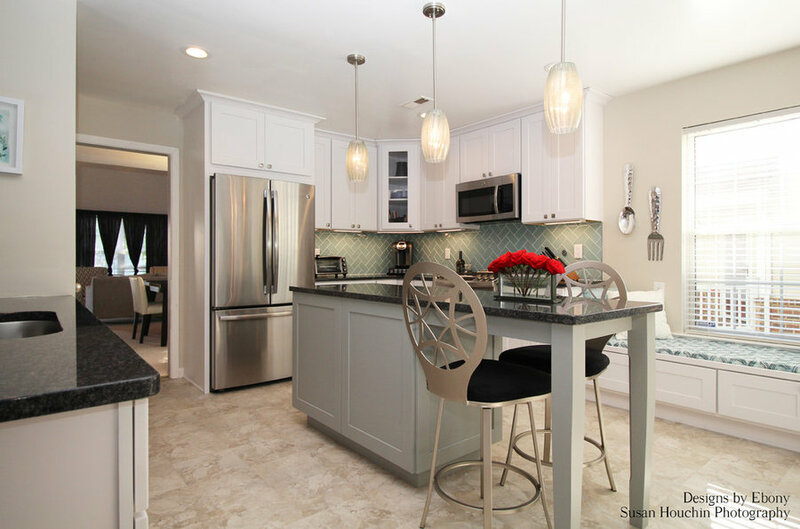 White shaker style cabinets were used on the perimeter and light gray on the island. 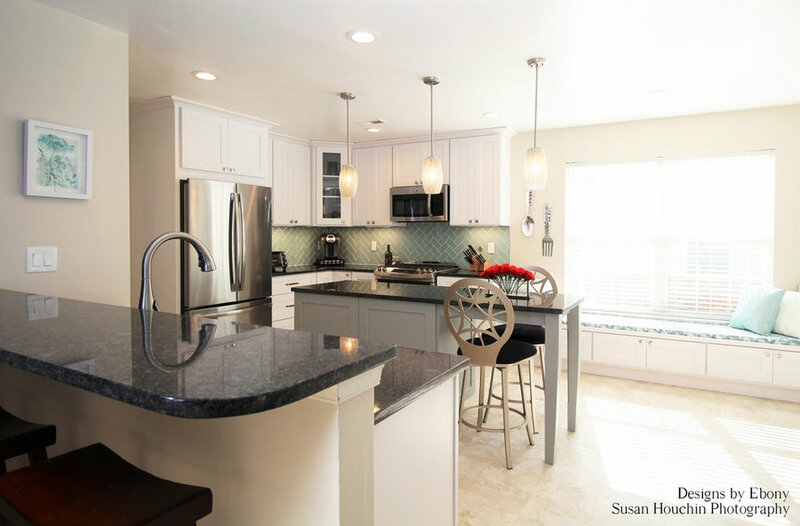 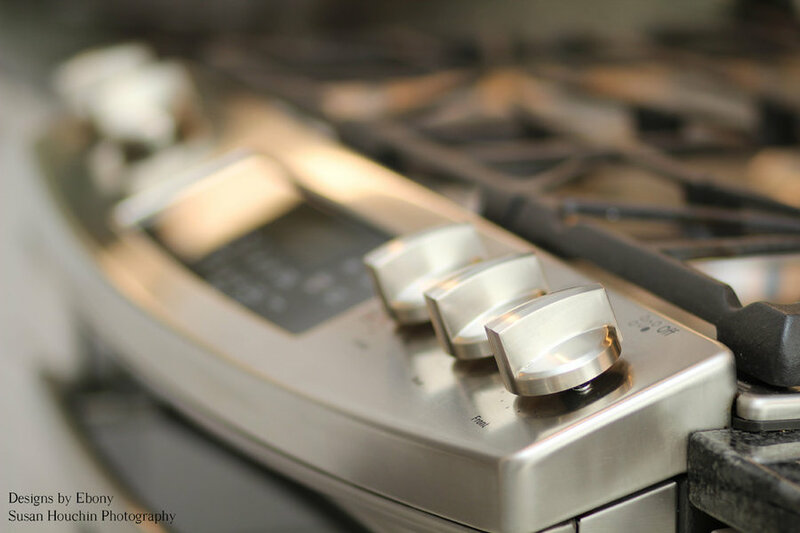 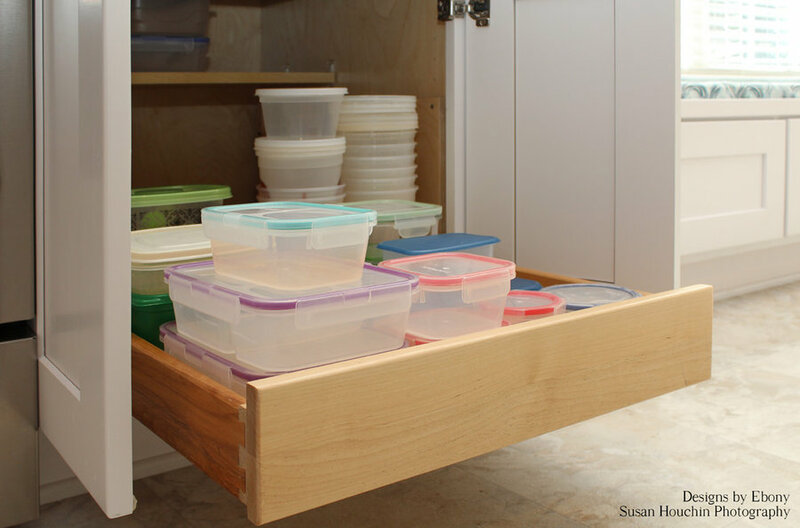 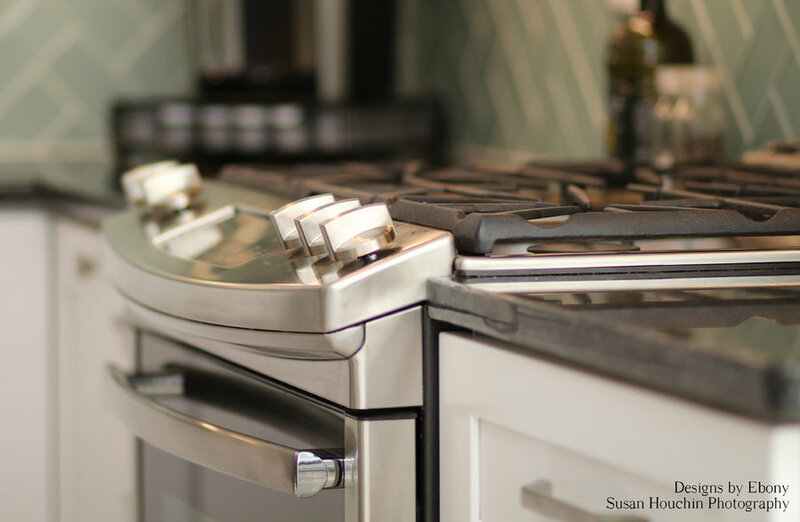 The cabinets were topped with a sleek black granite. 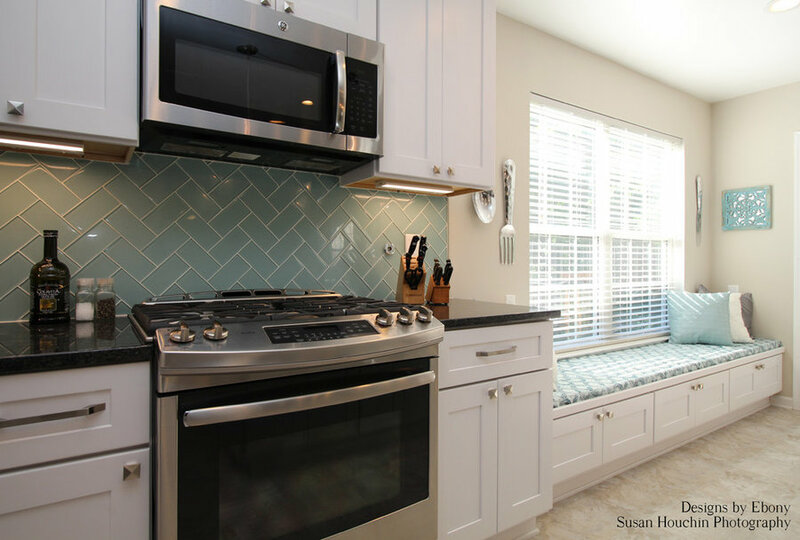 The backsplash is all glass 3" x 6" subway tiles installed on a herringbone pattern. 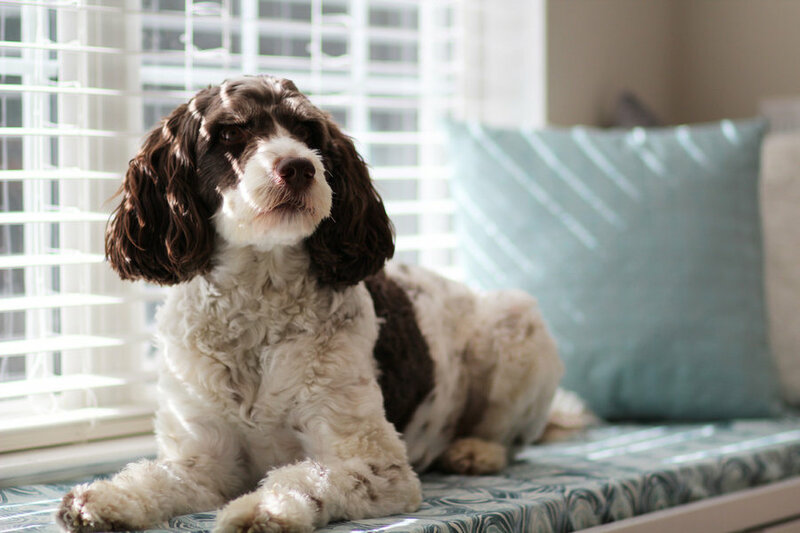 The floors were Platinum Grade Luxury Vinyl Sheet adding a soft touch and extra durability for the client's fur child Lilly. 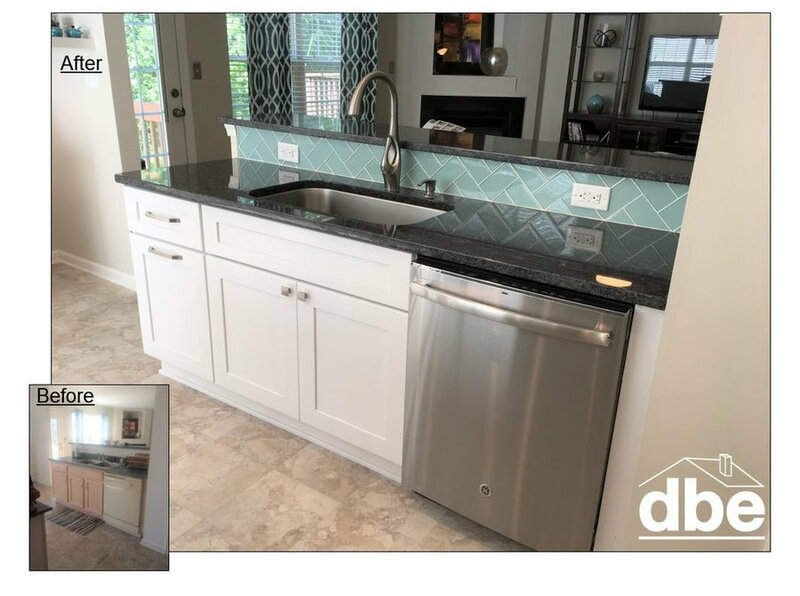 Stainless appliances were installed as well as a unique faucet. 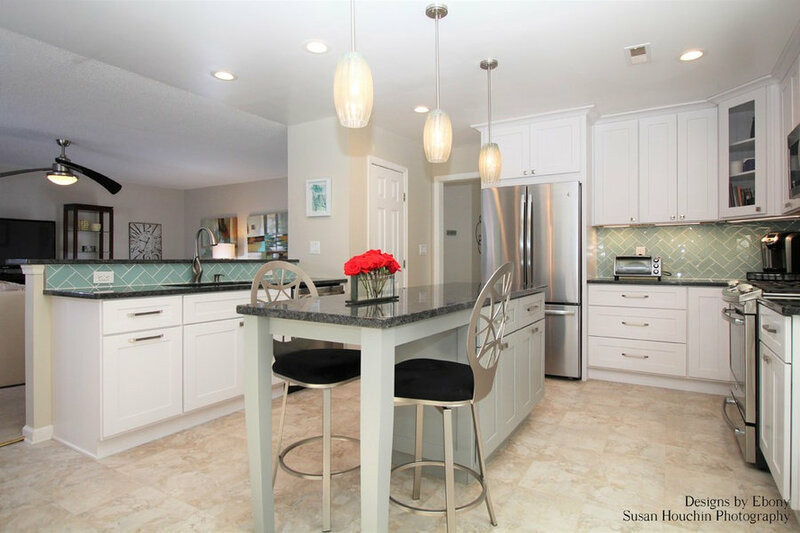 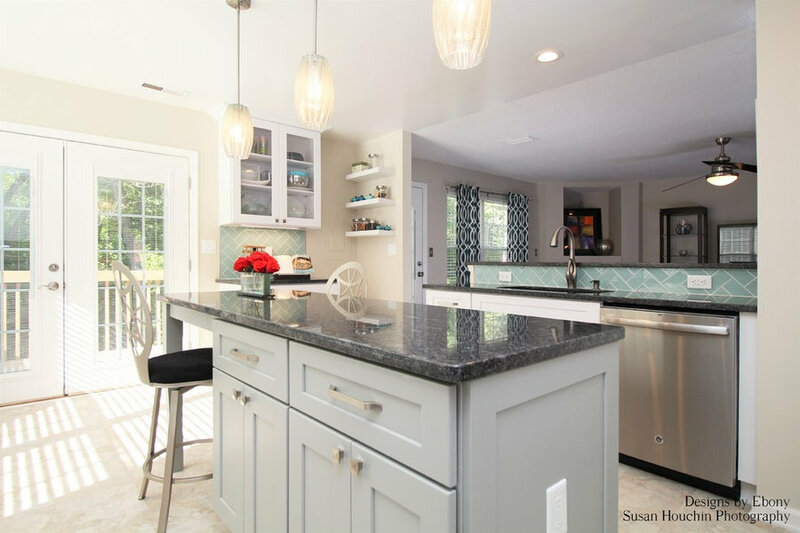 The final touches included recessed lights, LED under-cabinet lights, (3) pendant lights over the island, and some classy cabinet hardware.